MoFirst has developed mobile solutions for many industries including Entertainment, Gaming, Leisure, Media, Professional Services, Retail, Sports, Travel, Tourism and Utilities to name but a few. Our approach to rapid app development can bring the immediate business benefits of mobile technology to your business in the most cost-effective manner. Why not avail our special offer to design and build your complete mobile solution for enhanced customer service? Prove for yourself the undoubted power of mobile technology to create customer loyalty. We will provide a hosted Content Management System for you to directly manage all your app content. All app based communications from your customer will be sent to your chosen email addresses. 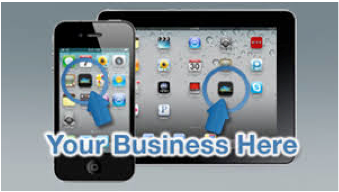 We will provide the administration service to register your app on the App Stores of your choice. We will be happy to also provide consultative advice on bespoke solutions.